Flatwoods are the most common upland ecosystem in Florida and represent 21% of all Southern US forests, totaling over 5.2 million ha. Given the prevalence of this forest type, public and private interest in anticipated carbon sequestration related revenue streams for forest owners is expected to be significant. Regional studies of carbon dynamics in this forest type have found flatwoods dominated landscapes in the North Florida area to be net long-term carbon sinks. At the stand level however, the influence of specific management practices on short and long-term carbon dynamics are not clear. In flatwoods managed for conservation, prescribed fire is one of the most frequently utilized management tools. Prescribed fire in these systems is typically applied on a 3-5 year interval to maintain ecosystem structure and composition and to reduce the risk of wildfires from the buildup of understory vegetative fuels (primarily saw palmetto (Serenoa repens)). Given the importance of prescribed fire in these forests, and the potential ecological and economic benefits of carbon credits for carbon sequestration it is important to understand the influence of these management fires on carbon fluxes and pools. 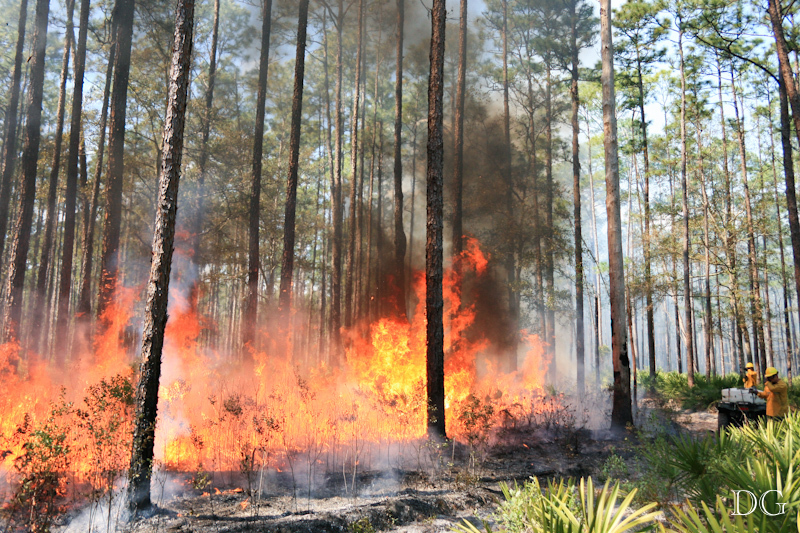 Numerous studies have investigated above carbon dynamics in flatwoods and similar commercial slash pine forests, however none known have specifically addressed the effects of prescribed fire management regimes and soil respiration rates. Question 1: How does prescribed fire management versus fire exclusion management influence soil respiration rates? Question 2: How does prescribed fire management influence the sensitivity of soil carbon respiration rates to biotic and abiotic factors? Presentation (.pdf) of research results from the 2012 Association for Fire Ecology 5th International Fire Ecology and Management Congress. Handout (.pdf) of preliminary results from a joint Osceola National Forest study. Handout produced for a field workshop held by the Southern Fire Exchange. Video of one of the prescribed fires conducted in the Osceola National Forest as part of a larger forest management study investigating the effects of prescribed fire and understory fuels mastication treatments on fire behavior, vegetation recovery, and soil carbon dynamics. 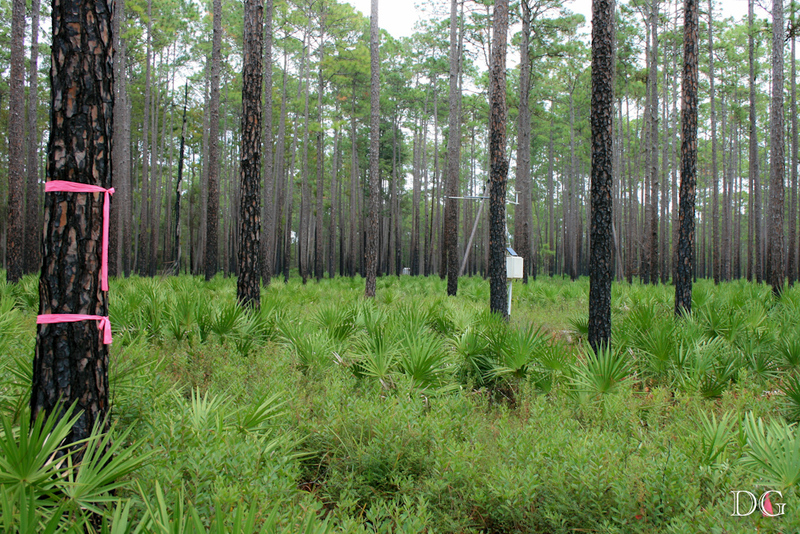 Blog for the National Forests in Florida, one of the agency cooperators in this study.